This kind of notification on AliExpress appears when the "Shipping Address" section is empty on Shopify admin > Orders page. Simply copy all customer information from the "Billing" section to the "Shipping" section and try to place the order through Oberlo again. Make sure the AliExpress shopping cart is empty before you click orange "Order Product" button in Oberlo. 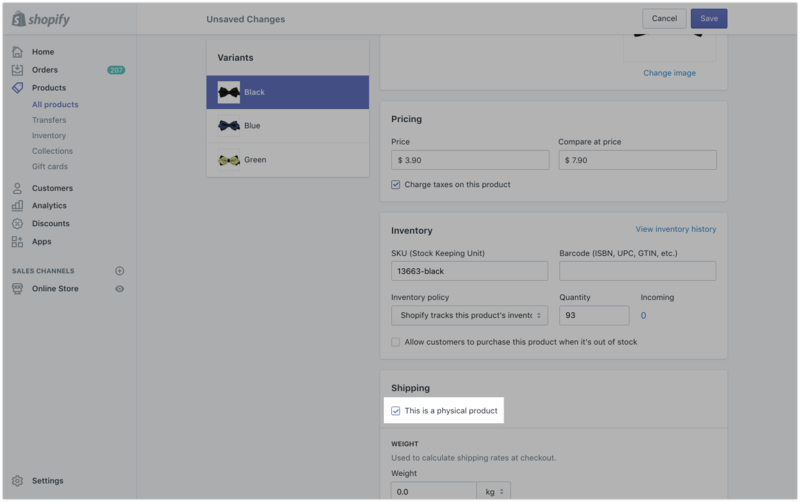 In order avoid this type of issue in the future, go to Shopify Admin > Settings > Checkout section. 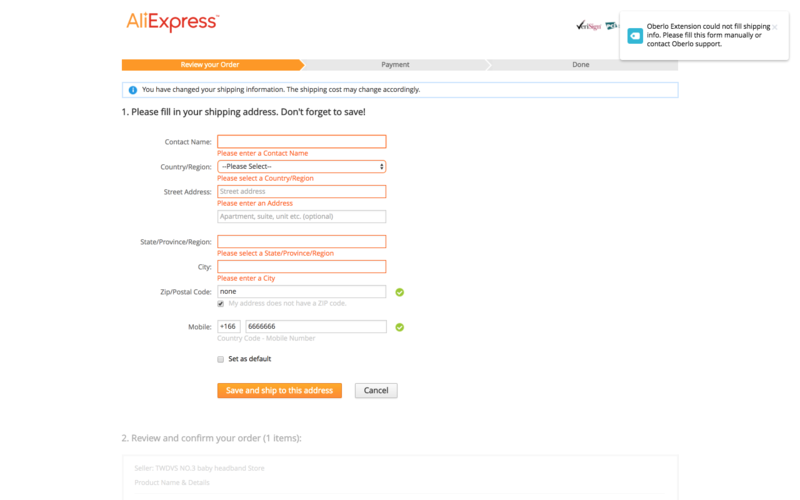 Simply mark this check-box: "Use the Shipping Address as the Billing Address by Default". From now, when customers fill in their billing details, they will also be used as shipping information. Also, make sure that the "This is a physical product" option is selected on every product page. If you don't have this setting enabled, Oberlo won't be able to fill in customer information automatically.